Who’s got time for gender stereotypes? Not our mom crush Pink. 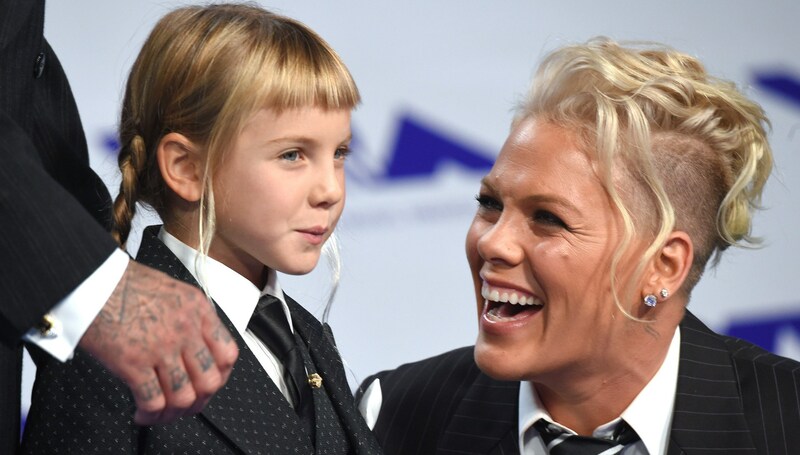 We swooned when the singer, her husband Carey Hart and their daughter, Willow Sage, all rocked sharp matching black suits at the VMAs in late August. And today, we’re grooving on Pink’s recent Instagram post of son Jameson Moon — sporting his big sister’s pink sun hat, chilling on a pink blanket. And for the record, daughter Willow is totally down with blue plaid in this September Instagram post from Pink. So refreshing to see messages of support and acceptance rather than judgment. Maybe mom-shamers are finally figuring out that messing with Pink is never going to end well. Have you seen those biceps… or that documentary? Long live Queen Pink and her laid-back approach to dressing her kids — and herself.